3. Enjoyable transfer with non-stop flight and private vehicle. 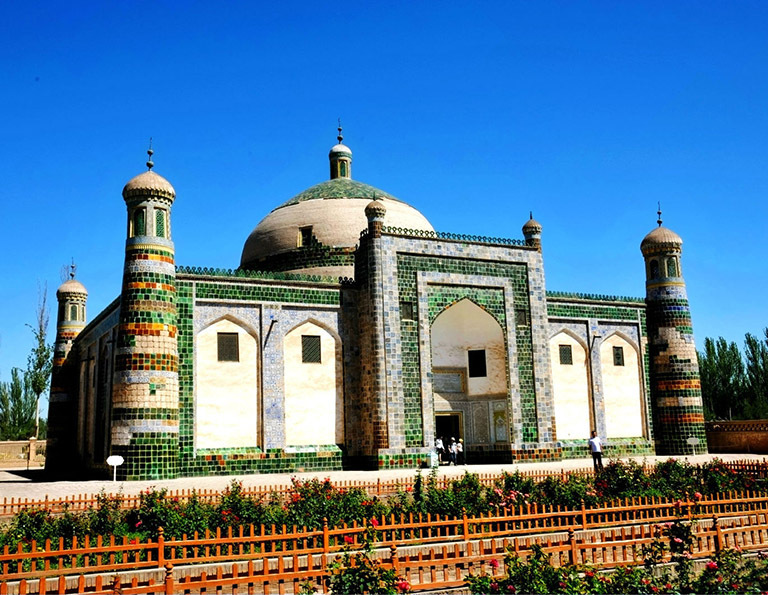 Since located in the western corner of Xinjiang, near to Kyrghyzstan, Uzbekistan and India, Kashgar has been an important trade and cultural centre of Xinjiang as well as the Silk Road for more than two millennia. There is the largest bazaar in Asia with daily traffic of more than 100,000. The Middle Silk Road joined Southern Silk Road at Kashgar.The famous master Abakh Hoja devoted his life to spread Muslim in Kashgar area. And his families' tomb has become a holy place for Moslems. Id Kah Mosque is the holy land for the Muslims. Every day, there are thousands of Muslims worshipping here. The peaceful Old Town keeps the most authentic tradition of Kashgar. If you want to add some stunning landscape, don't miss the Karakul Lake where you can also get a glimpse the "Father of Iceberg" - Mt. Muztagata. Kashgar is also the transport hub for western and southern Xinjiang. 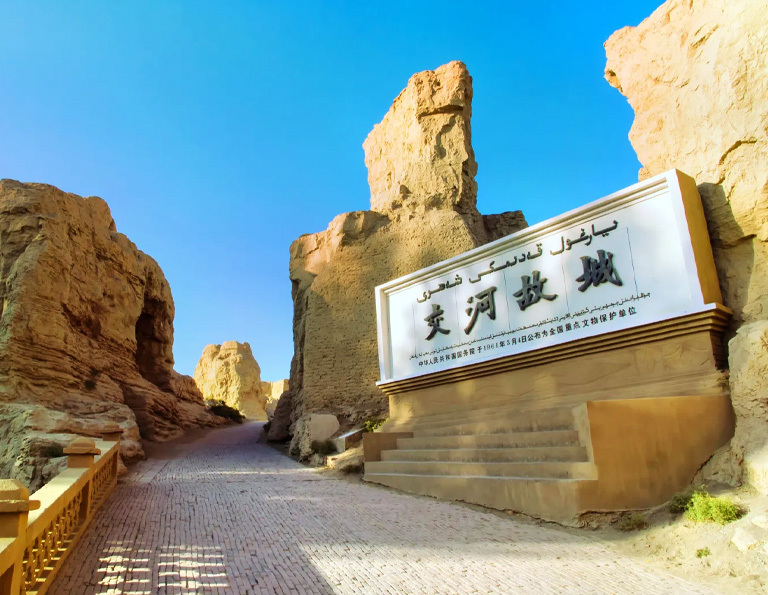 You can travel to from Kashgar to Hotan and Kucha area to explore the breathtaking Taklamakan Deser. 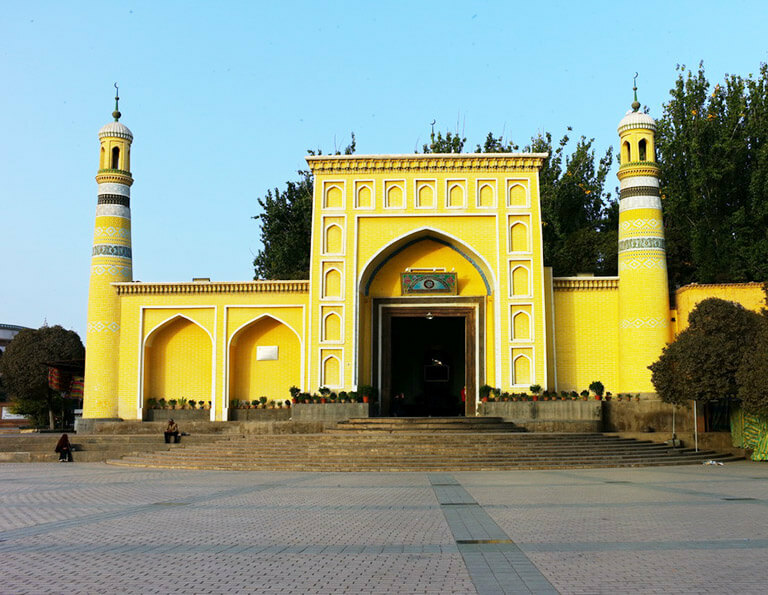 If you want to get a deeper impression about Islamic culture, Kashgar is the best place. 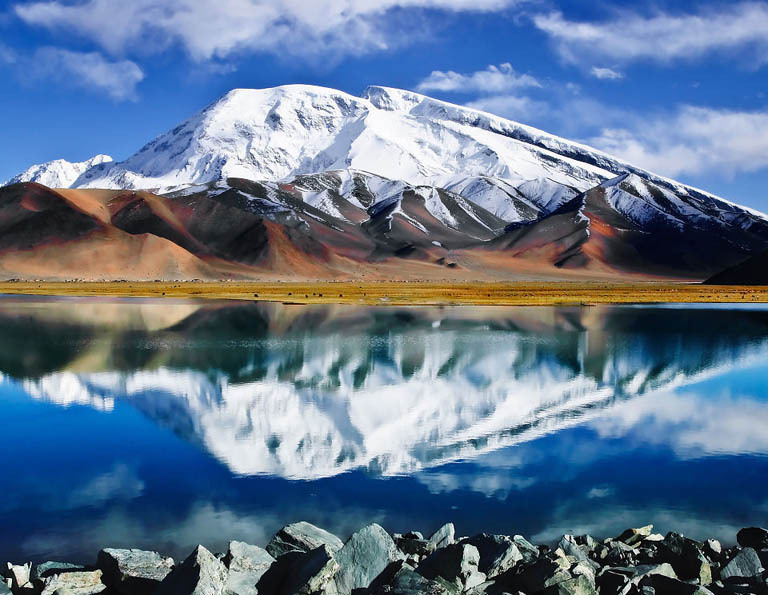 Visit the historical relics of Kashgar city, but also spend an extra day to see the breathtaking Karakul Lake. The best time of visiting - May to October. Ideal trip to learn about Xinjiang's culture and history. 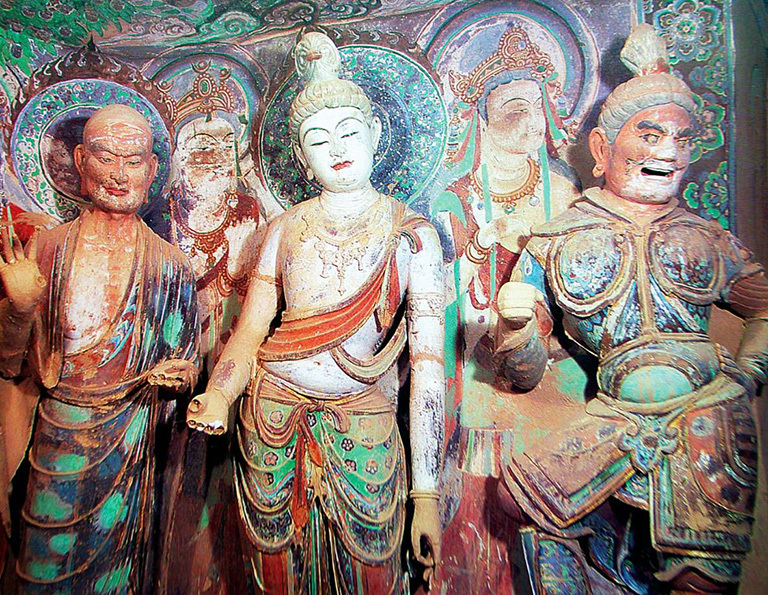 Visit some famous buildings and sites which played important role in during Xinjiang history. Connect golden-triangle destinations in Xinjiang - Urumqi, Turpan and Kashgar. 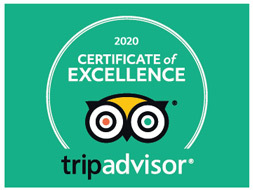 You will enjoy the amazing sightseeing while learn about Silk Road culture. The Silk Road evokes exotic images of long caravan lines stretching across vast sand dunes and dusty travelers relaxing in the shade of a desert oasis. 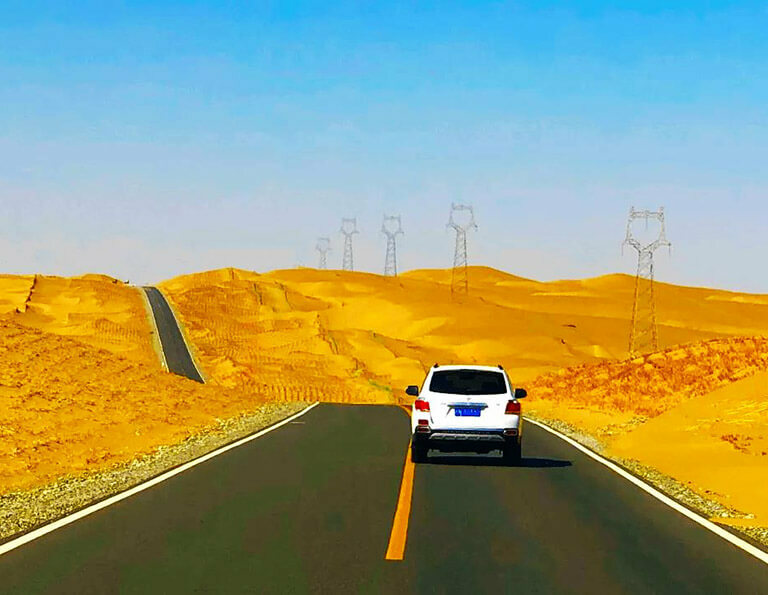 Explore the Silk Road on the gigantic regions of northwester China, an almost dizzying agglomeration of desert, grassland, raging river and colossal mountains, connecting Xian, Zhangye, Jiayuguan, Dunhuang, Turpan, Urumqi, Kashgar, etc. 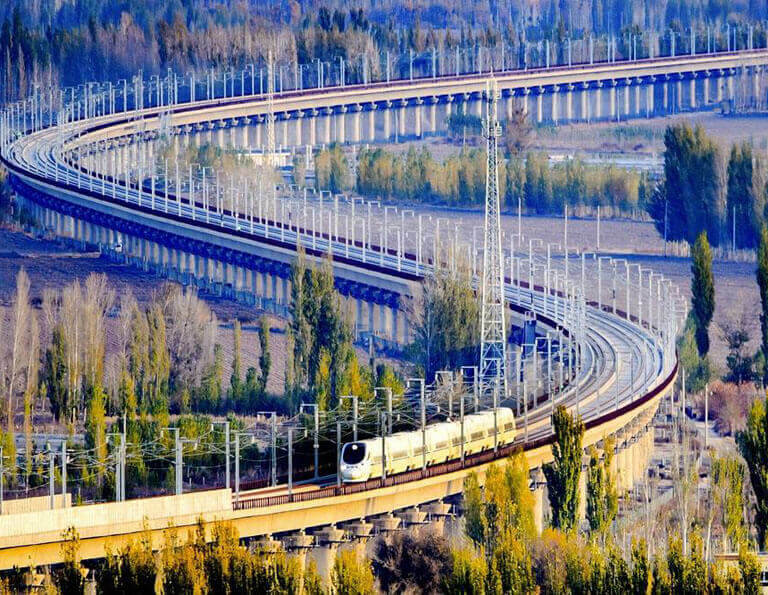 Unlike the ancient travelers who walked and rode camels to traversing the Silk Road, you from the modern civilization will explore the legendary route in a stylish and relaxing way - mainly taking high speed bullet trains, and also using flights and vehicle, to make your trip more enjoyable.